Here at Our Dream Auto we offer many different services to upgrade your classic hot rod. Safety is a big concern on any classic car, and one of the most important aspects of safety is the vehicles braking system. 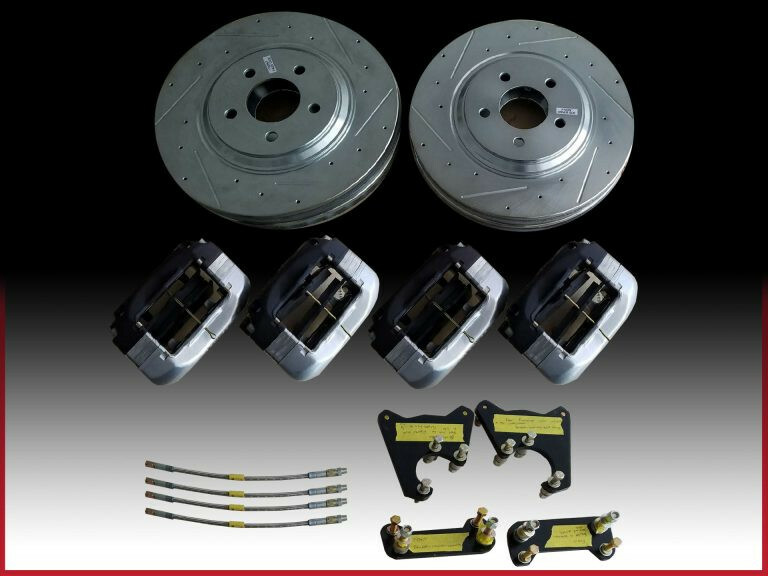 Our Dream Auto is now offering custom disc brake conversions for classic cars that don't often fit into the generic muscle car scene where disc brake conversions are readily available. Whether you decide to convert the front, rear or both we can assist you! Download our information sheet so we can know specific details about your setup, such as: bolt pattern, wheel size, and other specifics so we can tailor your disc brake conversion towards your car. Our brake kits can go from mild to wild. So decide whether you would like a factory-type system, where off the shelf replacement parts can be used to replace your worn out items down the road, such as brake pads and rotors. Or if performance and show are more your style, we offer big brake conversions as well with large rotors and 4-6 piston calipers. After we receive your spindle, we will design the needed bracketry and complete any machining necessary. Your kit will come back pre-assembled on your spindle ready to be bolted on to your vehicle.